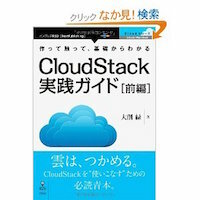 CloudStack Installation Guide - Covers initial installation of CloudStack. It aims to cover in full detail all the steps and requirements to obtain a functioning cloud deployment. At times, this guide mentions additional topics in the context of installation tasks, but does not give full details on every topic. Additional details on many of these topics can be found in the Administration Guide. For example, security groups, firewall and load balancing rules, IP address allocation, and virtual routers are covered in more detail in the Administration Guide. CloudStack Administrator’s Guide - Discusses how to set up services for the end users of your cloud. Also covers ongoing runtime management and maintenance. This guide discusses topics like domains, accounts, service offerings, projects, guest networks, administrator alerts, virtual machines, storage, and measuring resource usage. 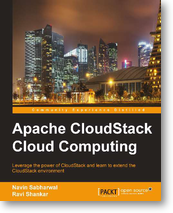 Developer’s Guide - How to use the API to interact with CloudStack programmatically. Includes links to the complete API Reference. 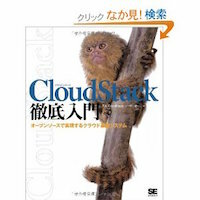 CloudStack Apidocs - API documentation reference. Release Notes - release specific documentation, including upgrade instructions from prior releases, new features added to CloudStack, API changes, and fixed issues. Some companies offer commercial support for Apache CloudStack or their own product based on CloudStack.